The Northern Exposure TV show was a 60 minute comedy series on CBS about a young man from New York City who agreed to serve as a doctor in Alaska for 4 years in return for a medical school scholarship. While not thrilled about living in Alaska, he was assured that he would be serving his time in Anchorage, the closest thing Alaska could offer in civilization. Unfortunately, he had failed to read a clause in the contract that said he could be assigned elsewhere if a smaller city had no doctor. When their Doctor died, he was assigned to the backwater town of Cicely, population 500! He became totally irate and tried everything in his power to get reassigned back to Anchorage! When he realized that there was no way out, he reluctantly reported to Cicely and its residents that were nothing like anything he ever experienced in New York. Cicely, Alaska is not a real town. The TV show was actually filmed in Roslyn, Washington near the same location where the series, "Twin Peaks" had also been filmed. When the founders of Cicely appear on the show, their names turn out to be Cicely and Roslyn! The town of Cicely was based upon a real-life town though named, "Talkeetna". It's located about 80 miles north of Anchorage. Joel Fleischman had at least one good reason for being hesitant to get romantically involved with Maggie O'Connell. Five of Maggie's previous boyfriends had died and she even kept a "shrine" devoted to them on her mantel! Elaine Miles got her role as "Marilyn Whirlwind" on Northern Exposure in a rather unusual way. Her mother, "Armenia Miles", went to audition for the role. She brought Elaine along and they ended out casting her instead! As a nice side note, Armenia got to appear on several episodes of Northern Exposure after all! She played the mother of her real-life daughter's character! 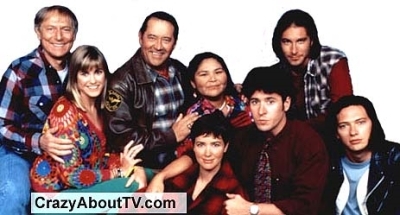 Northern Exposure aired on Thursday evenings at 10 PM during its first season as a "summer" series. In the second season, the show returned on Monday evenings at 10 PM, but not until April. It took the slot that had been occupied the previous season by the series, "Trials Of Rosie O'Neill, The". Rob Morrow published a book of photographs named, "Northern Exposures"! More than 10 years before the first episode of Northern Exposure aired, Rob Morrow appeared on "Saturday Night Live". He appeared as an extra in the role of a jury member in a comedy segment. Twelve years later, he returned to host the show! When Rob Morrow left Northern Exposure, the original idea was to replace him with a new actor in the same role. They would have (comically) said that he really looked different because of his new haircut. Maggie O'Connell would have said that she liked the new look much better. After thinking it over for a while, it was decided that Rob Morrow's fans might not care for that so Paul Provenza was cast in a brand new role as "Doctor Phillip Capra" and they left well enough alone. Thank you for visiting our Northern Exposure TV show page!